Peppered with fishing villages and whitewashed towns, luxury holidays to Estoril offer everything from fascinating history and culture, golden beaches and upmarket marinas perfect for people watching. Step back into the romance of 19th Century glamour with historic villas and turreted building lining the cobbled streets of the town. The golden sandy beach is the perfect place to unwind with a backdrop of historic buildings and the sparkling Atlantic Ocean stretching as far as the eye can see. Wander through Estoril’s luscious gardens and take in the palm trees and native flowers or enjoy upmarket restaurants and bars serving fine wines, cocktails and champagnes. Fresh local seafood is served in the many restaurants, with modern twists on classic dishes. Family run tavernas are the perfect place to immerse yourself in Portugal’s vibrant culture, while you can recreate the decadence of days gone by at the town’s casino. Alternatively, take the train to Lisbon and explore its cosmopolitan streets filled with boutiques and designer shops, as well as winding streets leading down to the sparkling sea. Luxury holidays in Estoril are perfect for couples and families wanting to enjoy a relaxing break steeped in history and culture. Thought to be the town which inspired Ian Fleming’s James Bond novels, this is the perfect place to relax and indulge. Explore the many Roman mansions in the town, as well as delicious tapas and cocktail bars with the freshest local ingredients served in family run tavernas and restaurants. At Sovereign we hand pick each of our hotels to ensure you get the very best from your stay. 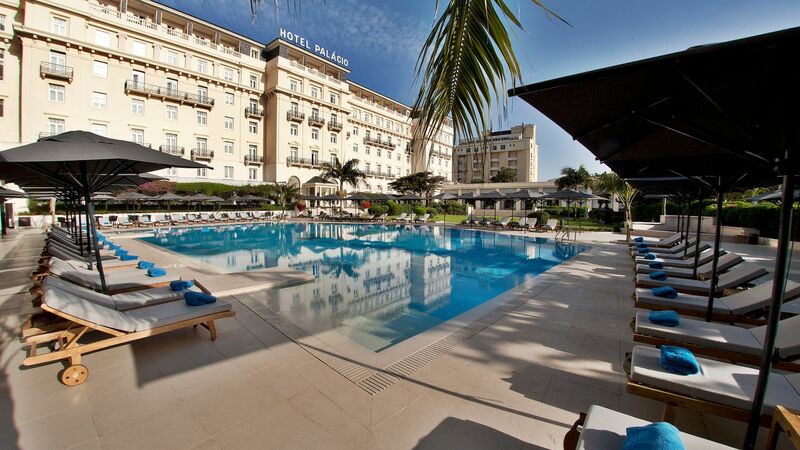 Choose our luxury holidays in Estoril and stay at the Palacio Estoril where you can take in the glamour of its 1930s charm as you unwind in the spa, by the swimming pool or in spacious hotel rooms overlooking the gardens and the sea. The Banyan Tree Spa offers treatments and luxury facilities, while the hotel featured in the Bond film “On Her Majesty’s Secret Service”. I'd definitely recommend spending a day or two exploring Lisbon. A highlight for me was sampling the original custard cream tarts which are to die for, with the secret recipe being passed down from generation to generation! Transfer time from Lisbon airport to Estoril is approximately 30 minutes.